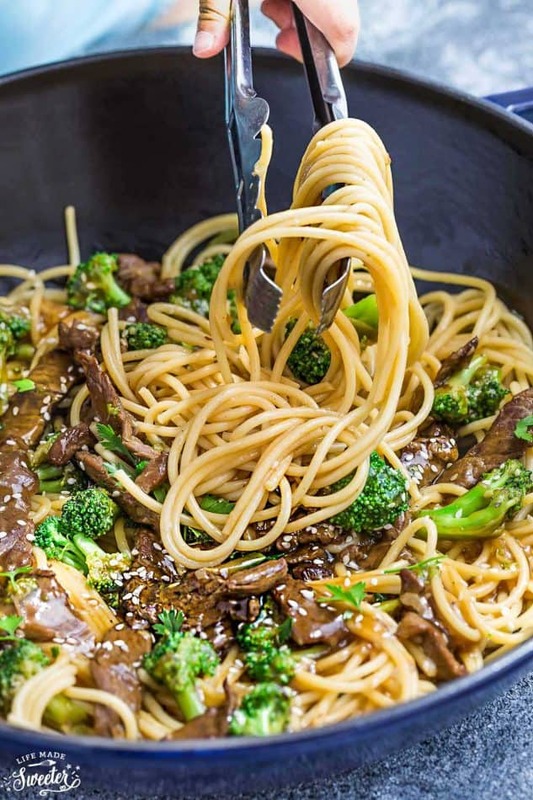 Beef Lo Mein Noodles with Broccoli makes the perfect easy weeknight meal. 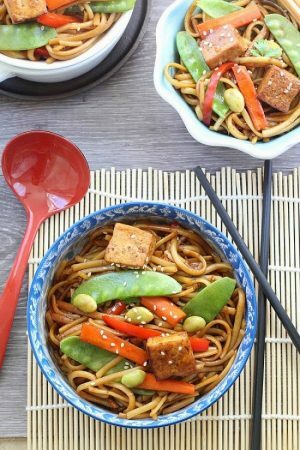 Best of all, this one pot recipe comes together in under 30 minutes and is much healthier and tastier than takeout! Plus weekly meal prep and recipe video! Pin for later or follow my recipes board for more dinner ideas. 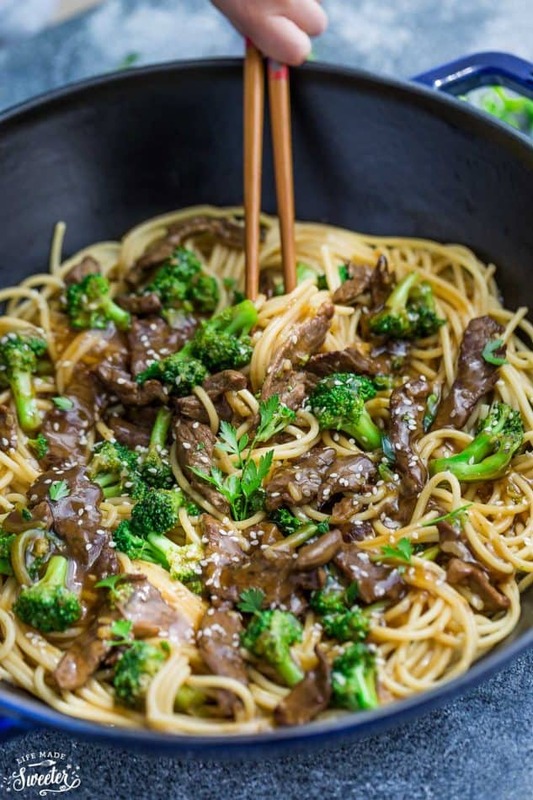 Noodles are a popular favorite around here. Especially for the kiddos. 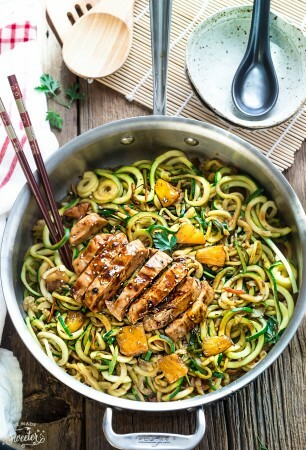 They love slurping up a big bowl of chow mein, lo mein, ramen and even zoodles. 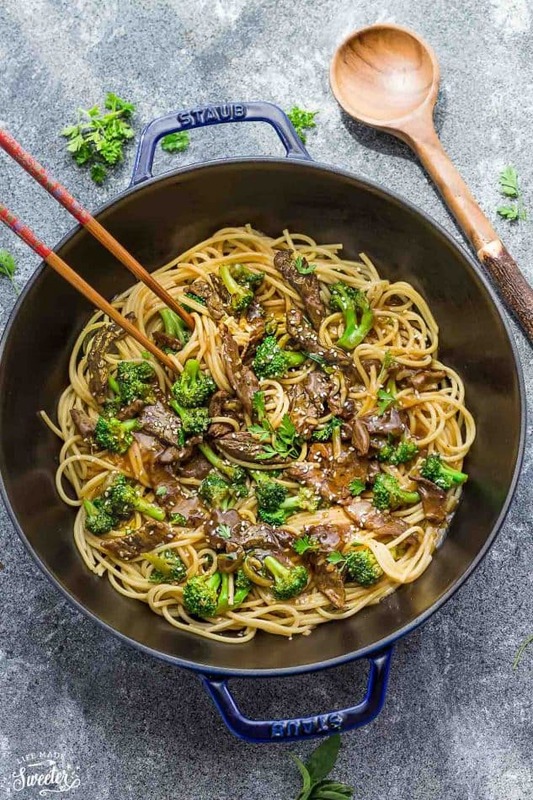 Since this Chicken Lo Mein, Slow Cooker Lo Mein and Veggie Lo Mein have been such a hit, I couldn’t help sharing a new version made with beef and broccoli – another popular dish around here. 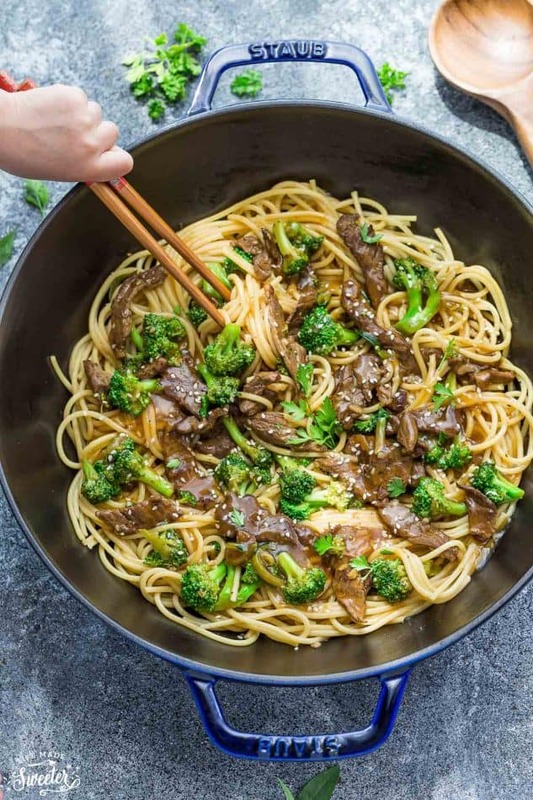 This Beef Lo Mein has all of those amazing restaurant takeout flavors and is ready in under 30 minutes. The best part is how easy it is to customize! 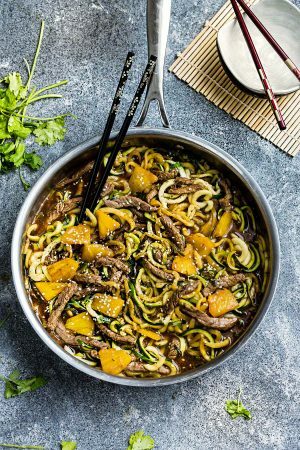 You can swap out the beef for your favorite protein or leave it out entirely for a meatless dish. 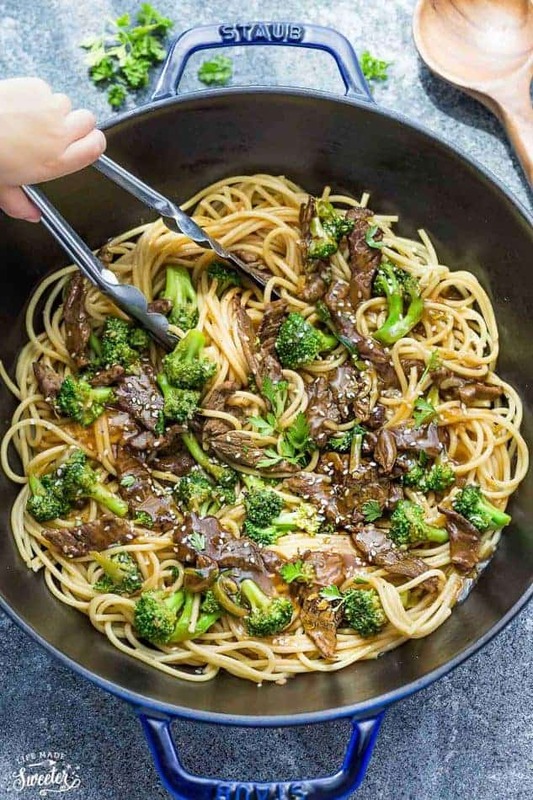 I used broccoli this time to keep things simple (and because it was seriously all I had that day) but you can toss in any veggies you have lingering around into the pot! Red bell peppers, carrots, bok choy and snap peas would be totally delicious! 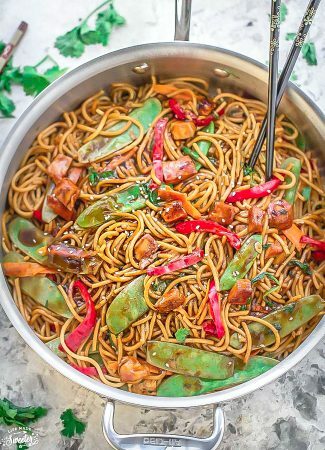 For the noodles, you can use fresh (about 2 1/2 cups) or dried lo mein noodles (6-7 ounces) – egg noodles, spaghetti, angel hair or even linguine will work fine as well. The savory flavorful sauce is what makes this dish extra special. For extra saucy noodles, we love doubling the amount and saving it in a resealable jar in the fridge to use throughout the week. 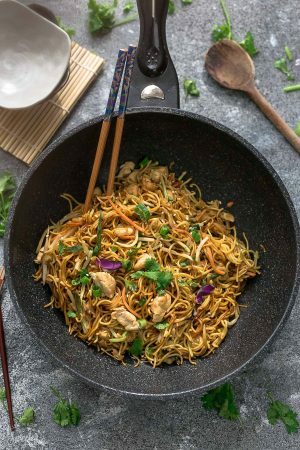 For the noodles – use 2 and a half cups of fresh lo mein or 6 ounces dried lo mein (egg noodles) like this one OR this one would be fine. Dried pasta (spaghetti or linguine) would all work here. Just be sure whatever you use, measures out to about 6 ounces when dried or 2 1/2 cups when cooked. 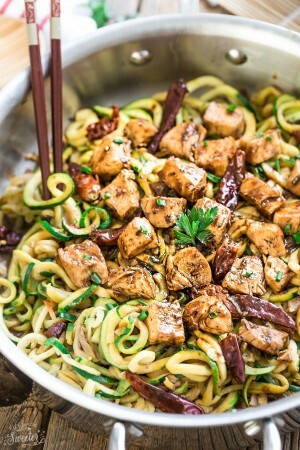 Swap the beef out for your favorite protein – chicken, pork and fried tofu work great in here. Add sriracha sauce or some crushed red pepper flakes to spice things up. 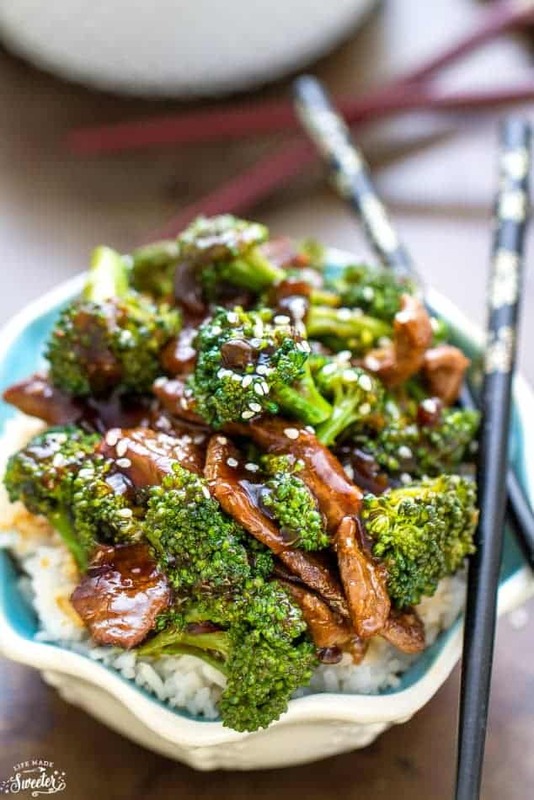 For easier weekly meal prep – wash and chop the broccoli (or whatever veggies you are adding) and store in an airtight container the night before. If using dry noodles, prepare noodles according to package directions, drain and set aside. 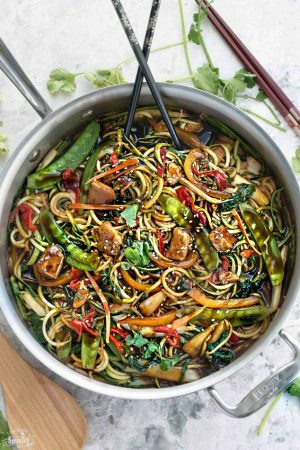 While the noodles are cooking, whisk together all the ingredients for the sauce. Cook until the meat is no longer pink (about 30 seconds making sure not to over cook). Quickly transfer beef to a serving plate and set aide. Add the same pan back to the stove and turn the heat to medium high heat. Add the remaining oil and let it heat up then toss in the broccoli and saute for 3-4 minutes, or until tender crisp. Add ginger and garlic, stirring for another 30 seconds until fragrant then add the seared beef back to the pan. Pour in sauce and stir until the sauce boils and thickens - about 30 seconds. Add more water if needed to thin out sauce. 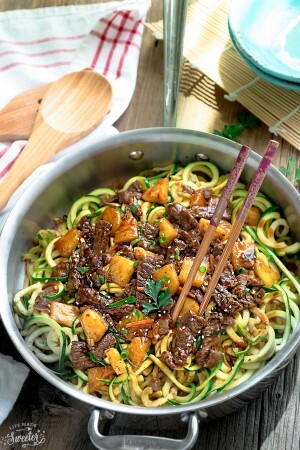 Quickly stir in the fresh or cooked noodles and toss everything together to coat well. Season with additional salt and pepper as needed, sprinkle sesame seeds, green onions or parsley over top and serve hot. 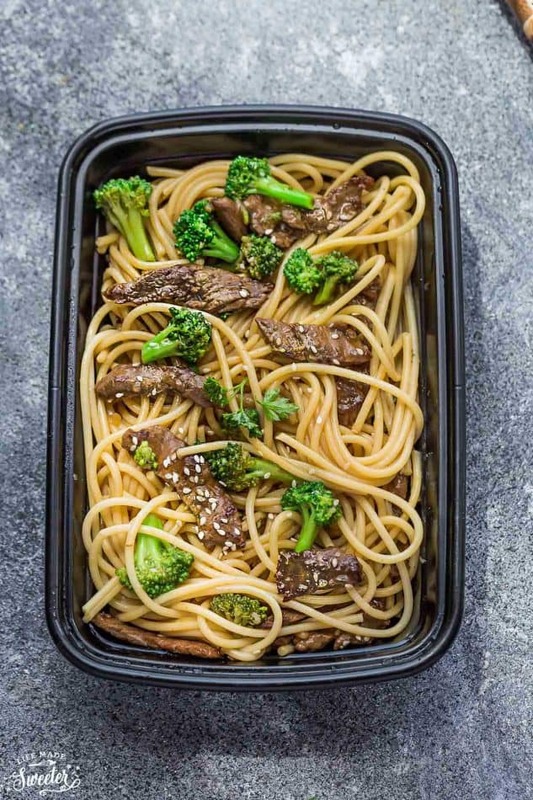 For meal prep: Divide noodles into four containers and store in refrigerator for up to four days.